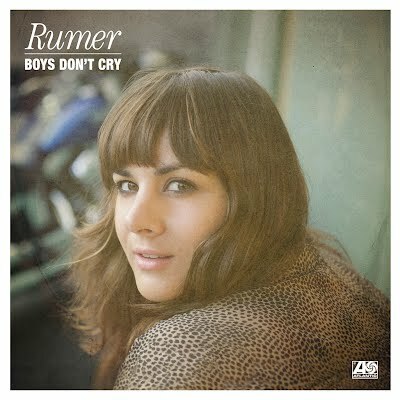 It was on the local release schedule, but then disappeared and for the last number of weeks has been relegated to Warner’s “coming soon” pile, but now comes confirmation that British songstress Rumer’s new album ‘Boys Don’t Cry’ will be released in Australia on Friday week. The singer’s critically acclaimed debut ‘Seasons Of My Soul’ hit the top 40 on its release here in Australia back in 2010, peaking at No.3 in Britain and going on to sell more than a million copies globally. The new album has been described as “a collection of lesser-known songs from the 1970s”, each of them originally performed by male vocalists. Cover versions include material from the likes of Isaac Hayes, Bob Marley, even Neil Young’s ‘A Man Needs A Maid’. ‘Boys Don’t Cry’ is to be released in Australia on Friday June 08. Thanks. It’s the basic version, though oddly that bonus track isn’t on either the basic or special edition UK releases. Do you know whether it’s the special edition with the 4 bonus tracks (16 songs in total)? Otherwise I’ll have to buy it from the UK. Thanks.